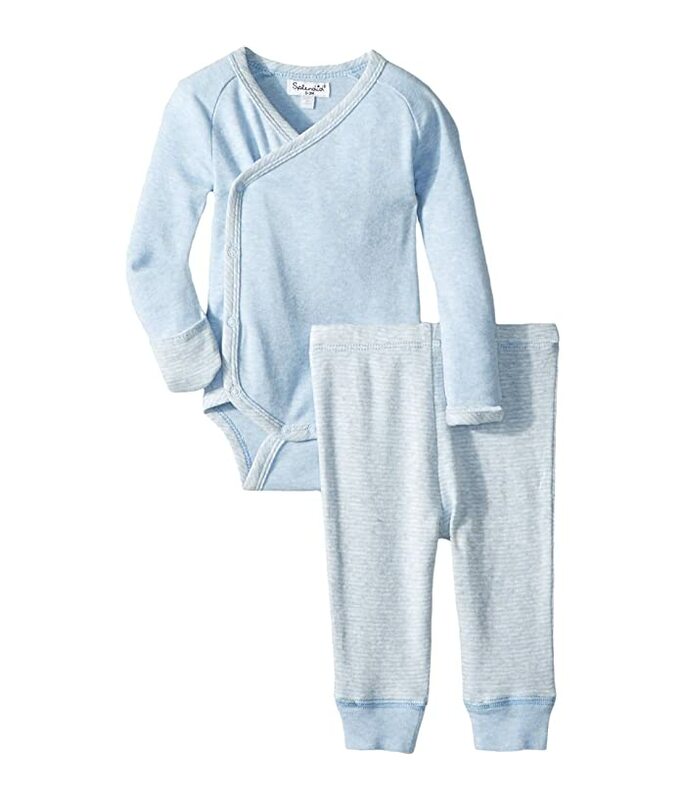 Bundle up the new babe with luxuriously-softness in the cozy Splendid Little® Always Take Me Home Set. This set includes a bodysuit and pants. 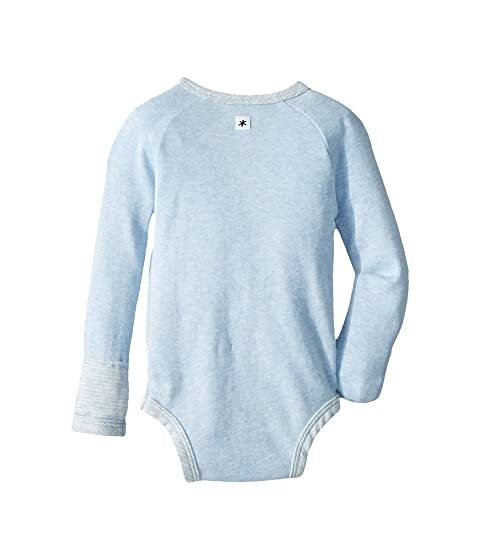 Ultra-soft cotton blend lends superior comfort for all-day wear. Crossover front closure with snap-button closure. Snap-button inseam allows for easy diaper changes. Flatlock seams provide chafe-free movement.